Malta Tourism Authority (MTA) and the Malta Union of Midwives and Nurses (MUMN) formed a strategic partnership in 2006 to submit a bid for the International Council of Nurses' (ICN) biennial conference and the meeting of the Council of National Representatives - the ICN's governing body, which runs concurrently. As the ICN is a federation of more than 130 national nurses associations, representing millions of nurses worldwide, there was fierce competition from other countries bidding to host the event. A total of six international destinations were vying for the right to host the conference in 2011. A committee from the ICN made assessment visits to all of the bidding countries, using a long checklist of criteria to decide if the destinations were suitable for the event. It then submitted a shortlist to the ICN board of directors, which makes the final decision on where to go. ICN director of administration Miriam Gomez explains: "We obviously take many points into consideration, but if we are faced with two bids of equal quality then the board will look at the rotation of the event and where is has been held recently." In all, 2,200 nurses from 123 countries around the Commonwealth attended the conference. The event kicked off with an opening ceremony held at the Malta Fairs and Convention Centre on 4 May. The main conference then took place at the Mediterranean Conference Centre (MCC) in Valletta and the meeting of the Council of National Representatives was held at the Hilton Malta. The event consisted of three plenary sessions, 25 main speaker sessions, 208 concurrent sessions and 38 symposia. An industry exhibition, networking meetings and a 'virtual classroom' - an informal setting for focus groups, workshops and training - were also organised. 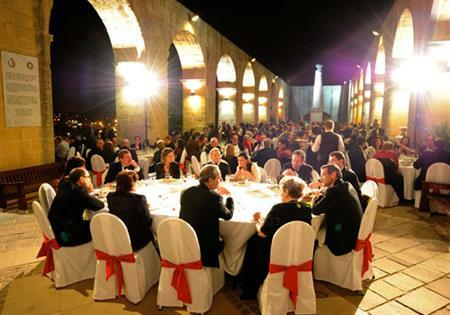 MTA sponsored the MUMN gala dinner, which was held at the Upper Barrakka Gardens. Island Caterers served the 300 guests, who included the Maltese prime minister and other dignitaries, all who were entertained by Guardia re-enactors and a jazz band. Gomez says the destination fared well. "I have not heard a bad comment about the place," she says. "We were delighted to have so many dignitaries at the gala dinner, especially the prime minister. It demonstrates how much they valued our conference event." The ICN has been revising its process for deciding the host cities and has cut the lead time to five years. The 2013 ICN conference will be held in Melbourne, while Seoul was successful for the 2015 event. 2-8 May 2011: ICN Conference 2011 takes place.